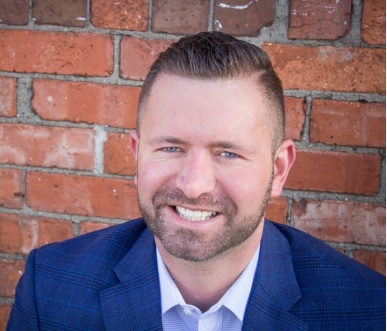 Licensed Broker Bryan Curtis has more than 10 years of combined experience working in the real estate industry. Curtis has worked in numerous areas of the real estate industry over the years including as an investor and in mortgage to name a few. He brings this experience and skill to every contact that he has in the industry, offering his expertise and valuable insider knowledge to each homeowner he assists. With this valuable industry experience, Curtis is able to give personalized and detailed attention to each homeowner he assists from helping them find the right lender to showcasing their property to the best effect. With this magnitude of Real Estate experience,Curtis is able to assist homeowners in finding and applying for FHA and VA loans, as well as helping them gain an understanding of these and other loans that may be available to them. As a licensed Iowa real estate broker, he's poised to assist homeowners in one of the fastest growing areas of the Iowa real estate industry. With offices located right in the heart of West Des Moines Curtis is in a position to keep up with this quickly changing area, including the new developments and communities that Des Moines is becoming known for. In addition to his experience directly relating to the real estate industry, Curtis also has a background in marketing. He brings with him a total of 14 years of experience in online marketing, as well as a specific familiarity with real estate marketing. Using this experience, Curtis is able to give an edge to sellers by helping them generate additional leads for their homes online. Media savvy, Curtis is also able to get you up-to-date information about potential homes for sale in the Des Moines area, well before you may hear about them elsewhere. Call or email me with any last minute questions! I am here to help you sell and save!